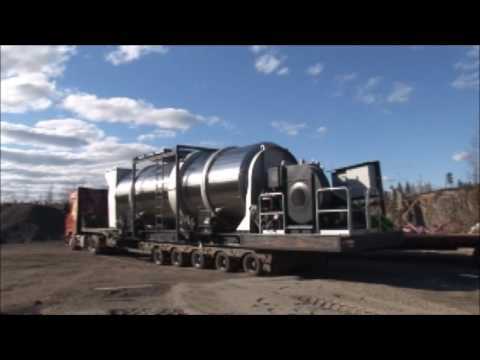 Amomatic’s semi-mobile asphalt plants offer a high output of 160 to 300 t/h combined with easy relocation. The modular structure of the plant means that dismantling and installation can be done within days. The modules used in Amomatic SM plants are designed to use as little extra parts as possible. For example, the bolt joints have been minimised, thus making the installation process easier. The plant travels safely from place to place with a trailer, thus lessening the logistic challenges. This makes it possible to move the production facilities multiple times during the paving season. The SM asphalt plants can handle the same batches as the stationary models with the added function of mobility. In other words, you don't have to compromise on any fronts. Combined with Amomatic's production control and monitoring systems and recycling solutions, the SM plant gives your business a true competitive edge.